My Hero Academia is a superhero series that tells the story of Izuku Midoriya, born in a world where superpowered people is a norm. What’s different about him is that he was born Quirkless, which is the source of a person’s superpowers. Now, despite the series being about superheroes, there are also supervillains in it. One such supervillain is Himiko Toga. Himiko is a major supporting character in the series and is a member of the League of Villains. Himiko is known to be a master of disguise, good at stealth and infiltration, and a very skilled combatant. Her Quirk is Transform, which allows her to completely take on the appearance of any individual, as long as she ingests their blood. The duration of the transformation is dependent on the amount of blood she swallowed. The only downside to this disguise is that she can’t copy the Quirks of other individuals. 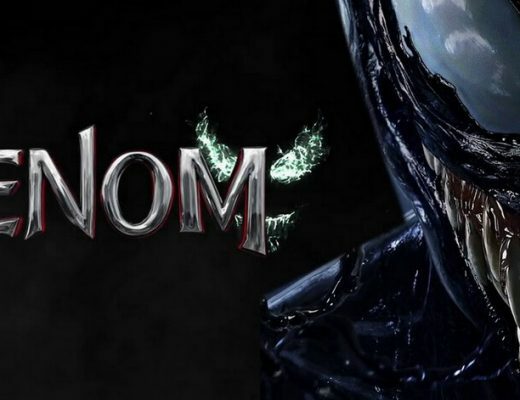 As one of the main recurring villains in the series, she also became a fan favorite and an option for people to dress up as. Himiko Toga is a petite girl with fair skin and cat-like canine teeth. She also has a pretty face in the manga. Dressing up as Himiko is not hard, considering she only wears one outfit with her villain costume on top of it. 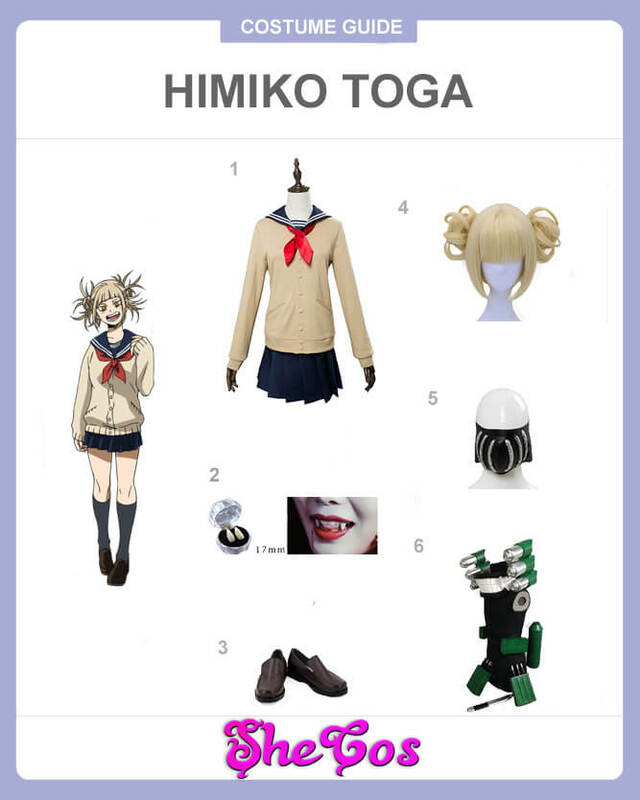 For this Himiko Toga cosplay set, you will get Himiko’s full costume, which is a Japanese school uniform with an oversized cardigan on top and dark blue skirt. It also comes with black socks and black school shoes. The cosplay also comes with a short blonde wig that is styled in Himiko’s hair and three vampire teeth to represent her cat-like canine teeth. For her villain costume, the set will come with a mask that Himiko wears, as well as a green gadget and pieces that she puts on top of her outfit, including a scarf with prints of carnivore teeth and canisters with needles. Himiko is a cheerful girl and likes to smile, even if she just killed someone. She also has a twisted view of love, showing interest in Ochaco to the point that she wanted to be Ochaco literally. She also showed interest in guys that are tattered and reek of blood. This unique personality is due to the character being mentally unstable. Despite her mental instability, she is shown to be a handful to deal with. Like a lot of the villains in My Hero Academia, Himiko’s cosplay tends to be more on the scary side. It doesn’t change the fact, though, that there are still a lot of ladies who want to dress up like her. If you look at the cosplay photos, you can see why, as her scary and twisted appearance can make for a frightening photo shoot.